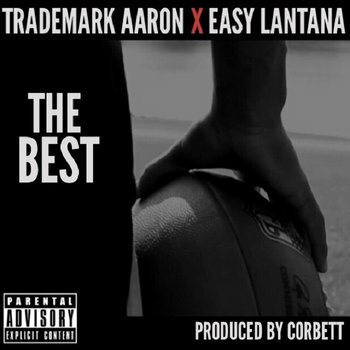 Making it’s debut on Vevo’s homepage, For The People Entertainment proudly presents the collaboration between Trademark Aaron and RCA/Polo Grounds Recording Artist Easy Lantana with “The Best”. Easily the most notable acts on an unlimited list of rising stars coming out of the Greater Cincinnati Area, on a Corbett produced track and an inspiring visualization from Franco Mudey and Mark Merk’Em, Trademark Aaron and Lantana prove they are “The Best”. This entry was posted in Hip Hop, Video and tagged Cincinnati, Kentucky, Lantana, Ohio, Trademark Aaron. Bookmark the permalink.